Prince Harry and Meghan Markle's wedding will be held on Saturday 19 May 2018, Kensington Palace has announced. The pair confirmed their engagement in November and said the service would be at St George's Chapel, Windsor Castle. The date breaks with tradition as royal weddings usually take place on a weekday - the Queen wed on a Thursday and the Duke of Cambridge on a Friday. The wedding will be on the same day as the FA Cup Final, which Prince William normally attends as FA president. The time of the match has yet to be confirmed, but in recent years it has taken place at 17:30 GMT. What happens at Christmas with the royals? The Royal Family will pay for the wedding, including the service, music, flowers and reception. The event will take place just a month after the Duke and Duchess of Cambridge are expected to welcome their third child to the family. Ms Markle will be baptised into the Church of England and confirmed before the wedding. Earlier this week, Kensington Palace announced the couple will be spending Christmas together at Sandringham with the Queen. The prince and the American actor, 36, carried out their first official engagement in Nottingham on 1 December. Prince Harry made a public appearance at Sandhurst earlier on Friday - 11 years after he graduated from the military academy - for the Sovereign's Parade. 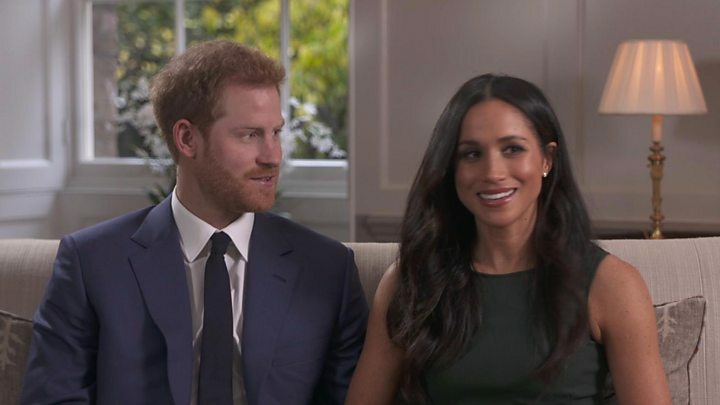 BBC Royal correspondent Nicholas Witchell said the Saturday date was "unusual, but not unprecedented" and would give people the opportunity to go to Windsor for the celebrations. He added: "Downing Street clearly hasn't been persuaded [into giving a Bank Holiday]… these things are so ruled by precedent." 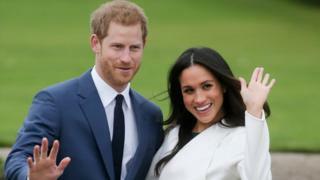 Reacting to the clash with the cup match, an FA spokesman said the organisation was "delighted" for Prince Harry and Ms Markle. He added: "Saturday 19 May promises to be a wonderful day with such a special royal occasion being followed by English football's showpiece event, the Emirates FA Cup Final.